Here is a new product made for much-needed comfort during air travel, so I naturally brought up the safety-during-turbulence issue with co-inventors Ephi Zlotnitsky and David Brecht. 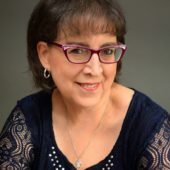 Edith G. Tolchin (EGT): Who is the actual inventor of JetComfy? If it’s a joint effort, what are your backgrounds? Ephi Zlotnitsky (EZ): It’s a joint effort. I’m a serial entrepreneur, a builder and a designer. Dave Brecht is an engineer with a few inventions under his belt. EGT: How did the JetComfy come about? EZ: Dave and I met by chance while vacationing. Our conversation led to airplane comfort or the lack thereof, as well as the fact that the U-shaped pillows that are being sold for air travel effectively do not provide any kind of support. It’s the same U-shaped pillow that has not really changed in over 40 years. EGT: How many prototypes did you create before you arrived at the “perfect one”? EZ: We created probably about four or five prototypes while traveling over 1.3 million air miles. We are still improving the design, and we aim to create a better, user-friendly product. EGT: If the product hooks on to the armrest, what happens if a passenger wants to raise the arm rest but your product is hooked on to it? EZ: The user can always switch to the other armrest. JetComfy is easily attached and detached. The JetComfy takes up only a very tiny portion of the armrest, leaving it available for your neighbor to still use. On the other hand, if you didn’t have a JetComfy, you would be resting your arm on the shared armrest—which takes up much more space! If you are in a window or aisle seat, you can use the non-shared armrest as well. EZ: It is patented. We had a legal team and engineers that went through the patent details to make sure we get the most protection. We are manufacturing both overseas and in the United States. EGT: If the seats are narrow, as with many budget airlines, wouldn’t the pillow on top cause the passenger using it while seated in a center seat to lean left or right, towards the adjacent seats? That’s what it looked like in a recent product photo I saw. EZ: The product is designed to tilt in, towards the user. It is designed not to encroach on the space of the passenger seated next to the user. EGT: Is the product safety tested? Isn’t there a potential of neck injuries with flight turbulence? Have the airlines (not the Transportation Security Administration) approved the use of this product? EZ: The product is a travel pillow. In order to avoid injuries, we recommend that users adhere to the flight crew’s instructions and use common sense and caution if the plane is going through violent turbulence. EGT: Are there any other special features of the JetComfy? EZ: No other pillow on the market takes the weight off your head and your spine. They are all just “wedges” to stick under your neck. JetComfy actually takes 10-15 lbs. of weight off your spine and uses the armrest to support it. It has been proven that relieving weight from your spine while sleeping reduces fatigue and neck stiffness. 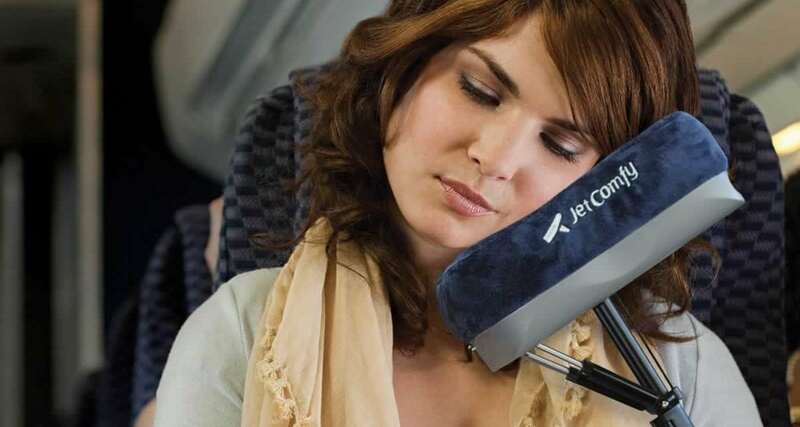 My wife suffers from sleep disorders and was never able to sleep on a plane until we invented the JetComfy pillow. This alone was proof that it should be brought to market. Our goal was to mimic the natural resting pose of resting your head on your hand. We made improvements to this pose by using a 2-inch memory foam on the pad, and gave it adjustable height, tilt and swivel. EGT: Aside from Amazon and via your website, are you selling anywhere else? EZ: In airports around the U.S. and the world. EGT: What are your sales forecasts or further product plans? EZ: We are in the process of opening our own point-of-sale comfort centers in selected airports and have been receiving tremendous response from all over the world. At this rate, we are anticipating our sales to grow in triple-digit percentages. EGT: Any plans to add to your product line? EZ: We have a few new ideas, and we will keep pushing to develop comfort products that actually work. EGT: Do you have any words of wisdom or guidance to offer our readers, many of whom are novice inventors? EZ: Test it, test it … and don’t fall in love with your own ideas.